Situated on a wooded five acre tract, blending naturally with the site, Whisperwood defines today’s modern home design. The welcoming front porch with cedar timbers, stone columns and arched top double doors, leads to the open concept floor plan. This ranch style home includes a designer kitchen/breakfast area adjacent to a large great room with a view of those whispering woods. The differential in ceiling heights helps to define those individual spaces. Outdoor living on the covered rear porch with a wood burning fireplace, adds an extra space to relax after a long day. The master bedroom, master bath and an ample sized laundry room are positioned on one end of the home with two additional bedrooms separated for privacy. A study/home office is tucked away from the main living area just off of the kitchen, offering French doors that allow the sights and sounds of nature to reach indoors. The U-shaped open staircase leads to a finished lower level presenting a family room and a wet bar area. A full bath between the craft and hobby rooms comprises the south end of this area. A separate stairway leads from the three car garage to the workshop and exercise rooms in this lower level. The garage boasts an ample 952 square feet, while the outside living opportunities continues with both a front and rear covered porch each, giving a family and their guests plenty of room to stretch out individually or all together in this home that contains over 5,300 square feet of living area. Gary M. Heeb of Custom Concepts Construction Company, LLC, first became interested in building at a very young age when his parents had a room addition built onto their Beavercreek home in Apple Valley. He would scrap or gopher for the Contractor in exchange for discarded lumber that he salvaged to build tree forts. In high school, Gary worked his summers with a local Builder where he learned that there was a potential to earn spending money at something he truly enjoyed. It wasn’t until later in his career that he realized that in those summers, he had received on the job training for the true craftsmanship of home building and the value of an honest work ethic that you cannot learn from a book. Gary had found his calling, but his parents thought otherwise. Gary went off to college, still working summers in construction and earned a teaching degree in Industrial Arts Education. After a short stint in teaching, he decided to start his own construction business and soon formed a partnership and eventually his own company based on what he learned during those summers, which proved to be the foundation of what his business philosophy was built upon. 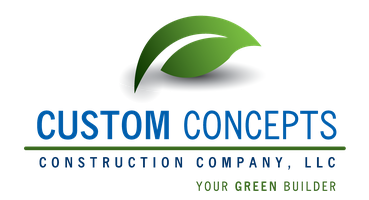 Thirty-seven years later, Custom Concepts Construction Company, LLC is now in its third Homearama, and still is a General Contracting business, specializing in single-family, one of a kind custom homes. As this profile portrays, Gary likes the old school way and he has a solid reputation as an onsite builder so that he can work directly with his customers. From start to finish, Gary implement their concepts, their budgets and their plans guiding them through the entire construction process until that special move in day. His goal is to make it a stress free journey as he and his clients work together to bring the unique features of their home to fruition. With every home, Gary’s relationship with his customers goes well beyond the construction timeframe. This is demonstrated by the fact that the majority of the hosts for this year’s “Whisperwood” home entry are past, current or future customers, volunteering their time, so please feel free to ask them for their testimonial experience. One of Gary’s accomplishments has been that he survived the unprecedented downturn in the housing industry in recent years by reinventing himself and his Business Plan. He saw the need to adjust with the changing market trends, so he became a Certified Green Professional (CGP™) that allows him to offer his customers a variety of eco and environmentally friendly products, construction practices and design concepts. Gary has always been in tune with using these types of applications and since the size of his company is very manageable, he is able to make your building process a pleasant one. He can offer you construction management consultation with quality and energy efficient designs and would welcome the opportunity to partner with you in building your new custom home. To learn more about these and other services and applications Custom Concepts Construction Company, LLC can offer, please feel free to visit his webpage at www.customconceptscc.com.